You must make reservations at least 5 minutes in advance of the time at Little Nonna's. Parking available across the street at the corner of 13th and Locust. 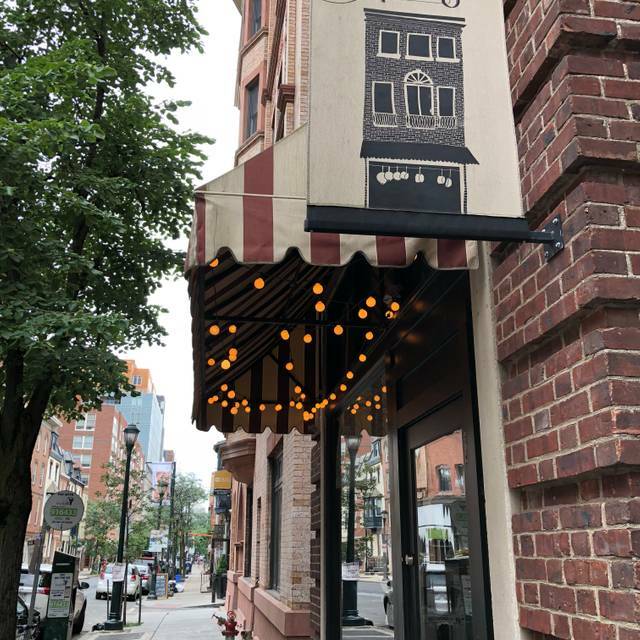 Little Nonna’s is an Italian-American eatery in Center City’s bustling Midtown Village. Inspired by the “red sauce” family-owned ristorantes of Italian immigrants, Chef Turney offers thoughtful interpretations of homestyle Italian-American dishes with an all-Italian wine list and handcrafted cocktails. 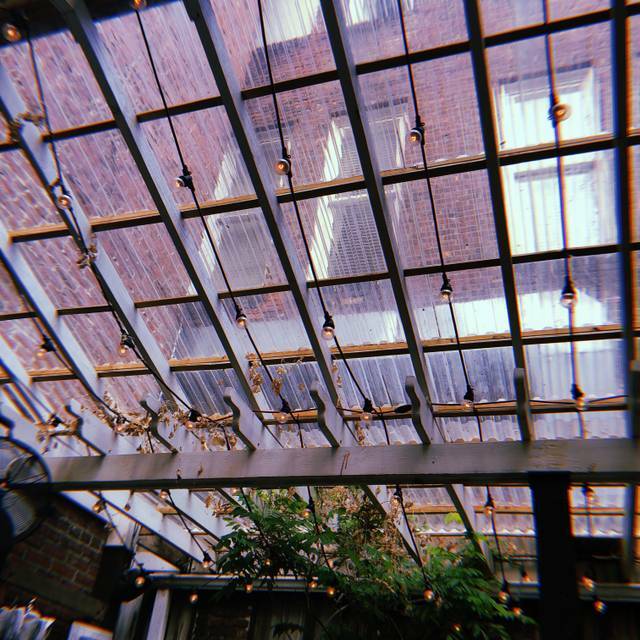 The cozy 40-seat restaurant is evocative of an Italian grandmother’s living room, circa 1950, featuring vintage lace in the windows, hanging antique copper pots and an outdoor garden that seats an additional 40 guests. 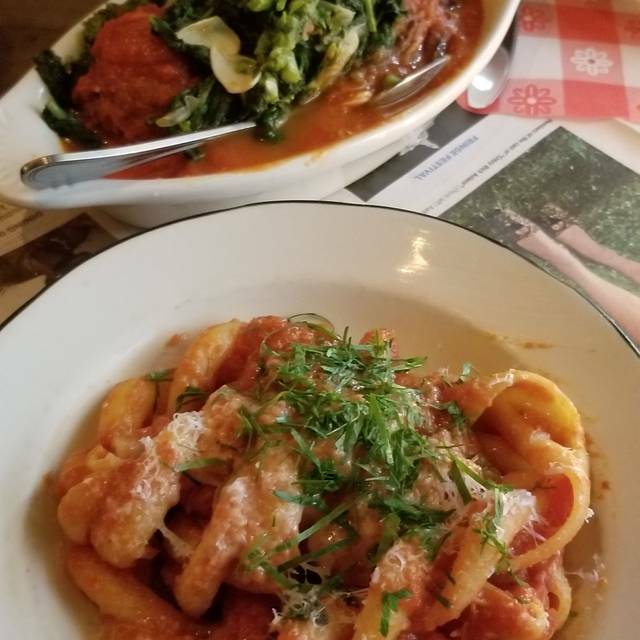 This was my second time at Little Nonna's and they certainly did not disappoint. 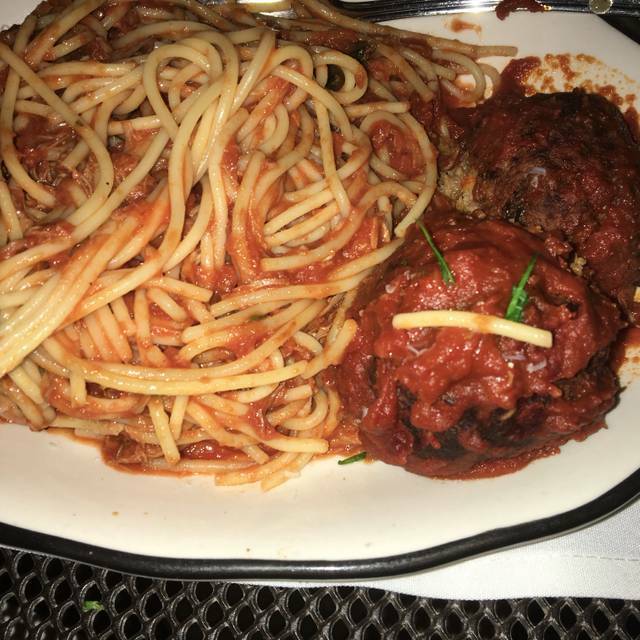 I went for Nonna's Spaghetti and Meatballs, and it were delicious. If you come and you're hungry, definitely go for that dish. The portion is ridiculous, two massive meatballs on top of a pile of spaghetti and their homemade meat sauce. 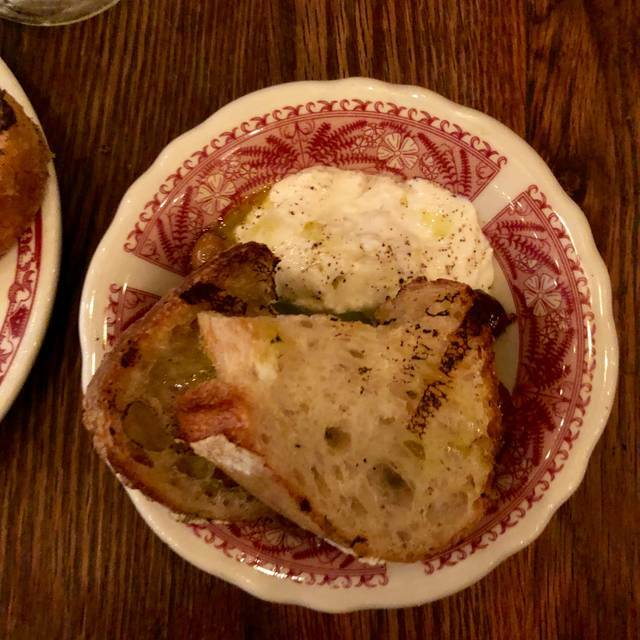 I also forgot Little Nonna's was not BYO having I confidently walked in with a bottle of red, without realizing that might have not been the best move. No worries though, the hostess informed me that yoy can bring your own bottle, but that includes paying their corking fee, which wasn't bad at all. Overall, great experience. I highly recommend. Also, ask to sit outback on their heated patio. Great vibes, and very romantic. Food was great. Octopus appetizer among the best I've had. The meatballs are a must! I also had a Linguini with clam special that was the best I ever had. We were fortunate to be seated outdoors at the last 2top. Much quieter than inside. Lovely. Great find close to Kimmel Center. Attentive service and fabulous food. One suggestion would be to offer gluten free pasta. Patio was charming, portions were generous, food was fabulous! Excellent food and pretty good service. Volume of customers is high for such a Small restaurant. Good for friend and family due to high energy. Reservations a must. Everything was fantastic Food was great service attentive and timely. Intimate so we got to know the folks as the table next to us. This is a gem of a restaurant -- great Italian food in a comfortable venue. Service is wonderful -- attentive but not intrusive. House wines are great value. Overall a wonderful experience! Little Nonna's offers a variety of appetizers, but has a very limited entree menu--the Thursday night we were there had only three entrees on the menu. The eggplant parmesan appetizer was spectacular; it was made with thin Japanese eggplant, fried to crispy perfection, and served with dollops of tomato and pesto sauce. It was generous enough for two people to share. The pork and chicken entrees were very good. The swordfish was very moist, although it was a bit salty for my taste. We ate in the courtyard, which was bright and delightful. I don't think I would have enjoyed the very dark interior restaurant. Service was excellent. I would definitely recommend Little Nonna's to a friend. Really nice, friendly with excellent food. Very cozy. My friend and I had lunch. The service was attentive. My friend and I shared the beet salad. The presentation was beautiful and it was fresh and delicious. We did, however, feel it was overpriced for the portion at $11. We shared the meatball with broccoli rabe sandwich. The meatballs were huge and very tasty. The rabe was cooked and seasoned perfectly. Overall I would recommend this restaurant. Amazing food and service! Definitely going back! I got the Sunday gravy and my wife got the spaghetti and meatballs. The drinks were excellent as well. Food was delicious. We really enjoyed the Sunday sauce. The shortrib was the star of the sauce. Meatball was ok. But I am picky when it comes to meatballs. Nothing compares to my Nonna's. The arrancini were perfect. We liked sitting outside on the patio. Great atmosphere. Waitress was helpful and speedy. First time outside and was not disappointed! 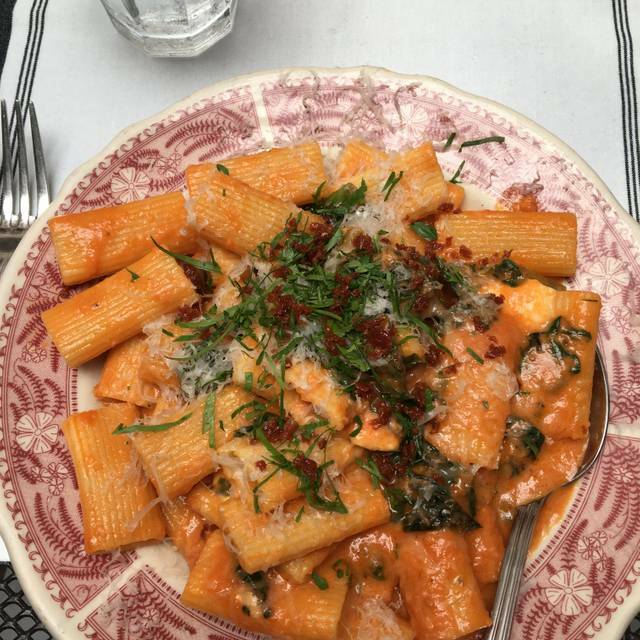 We'd been wanting to try Little Nonna's for a long time, and are now sorry we waited so long. The meatballs were incredible-- exactly like my nonna used to make. 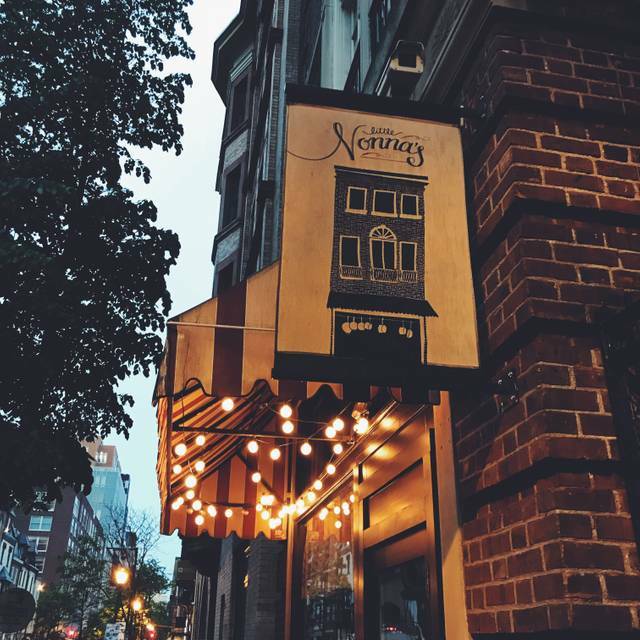 The ambiance is nice and the service excellent. Would highly recommend. 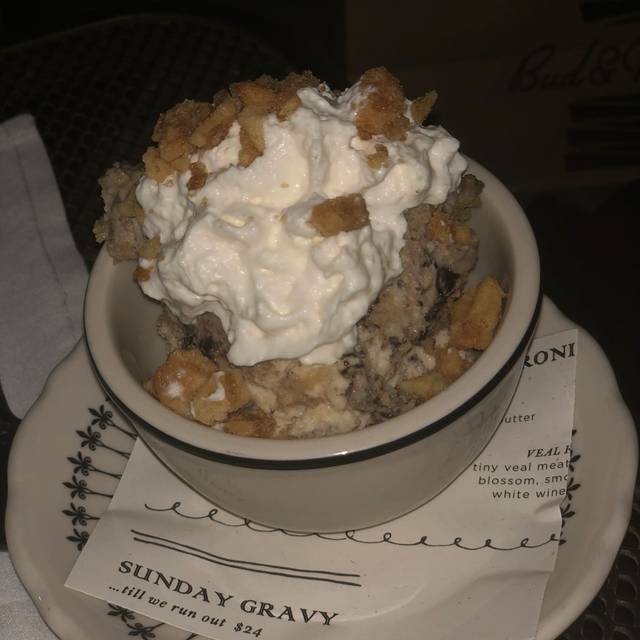 Great food and excellent service; Sunday Gravy and meat balls were amazing. Our second time here and the food was really good. 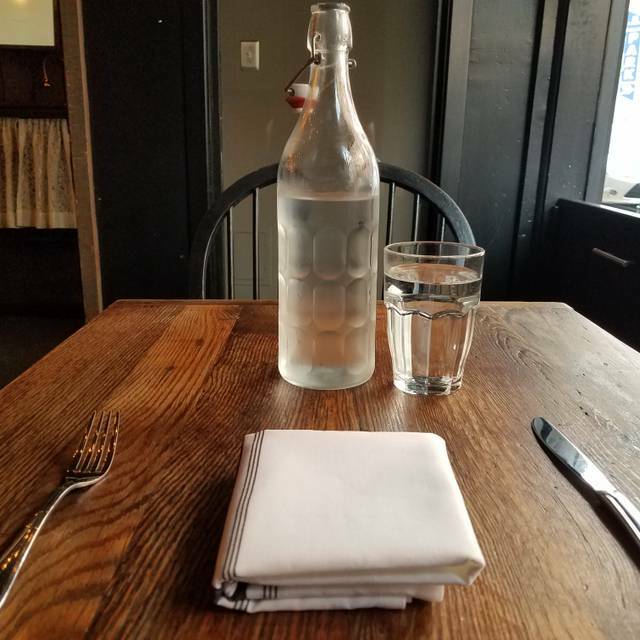 Our waitress was not friendly and not especially helpful, which didn't detract too much because of the good food, atmosphere and company. Food was really good - inventive menu, great entrees with excellent seasonings and fresh ingredients. Little Nona’s was excellent. Can’t wait to go back. Excellent in every way! Friendly staff, excellent food, great value, wonderful ambiance! Excellent meal, love the meatballs. The hostess was not pleasant... very abrupt. Our server was great, as was the Italian lemonade and pasta but the meatballs need work. They were extremely dry and very salty... I barely ate them. I’m also not a fan of the cheese in the middle. Sunday gravy is unforgettable especially with the addition of delicious beef short ribs. Dessert selections are SO GOOD. Great experience. We will be back. We have been to the restaurant several times I have always been happy we chose to go there. Great food. HUGE portions. We sat outside and it was very pleasant. Amazing! Thank you for a great food and dining experience on our first trip to Philly. The arancini’s and tiramisu are a must try! Received a friendly greeting upon arrival and waitress was helpful in explaining some items on the menu. Foods was very good and dessert was excellent. Would definitely recommend this restuarant to others. One of the best Italian restaurants ever. Can’t wait to visit Philadelphia again. Fantastic shaved salad, burrata and incredibly delicious homemade vegetarian pasta. Simply delicious, amazing place. The staff here is outstanding! One of the best Italian restaurants I’ve ever been to. I live in Tucson Arizona and I’ve been to Little Nonnas five times. It’s got to be good for me to travel two thousand miles for gnocchis. Service was very friendly and welcoming. Food was prepared fast and was absolutely delicious!